Pinewood Skids are specially made for the purpose of multi stacking and easy handling in warehouses and shipping. These skids are available in different dimensions and can be customized according to customer’s specifications. 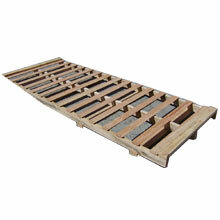 Made from high grade pinewood, these skids ensure space saving storage of goods.